Reference to a secret room in the Atari 2600 game Adventure that marked gaming's first Easter egg, hidden by a programmer without making a peep. A world that hums and grooves to art-rockers Oingo Boingo and Kajagoogoo, whose preening hair-pop was clearly a precursor to Gaga. The protagonist's OASIS password quotes the crappily wonderful 1984 classic The Last Starfighter, one of the first films to use CGI, and one of the last films to star Robert "What The Hell Is CGI? I Was The Music Man, Damn It!" Preston. A last will and testament video showing an eccentric millionaire boogie-ing down in front of a green-screened dance scene from Heathers. Enough mentions of Tab to actually make you want to drop one. 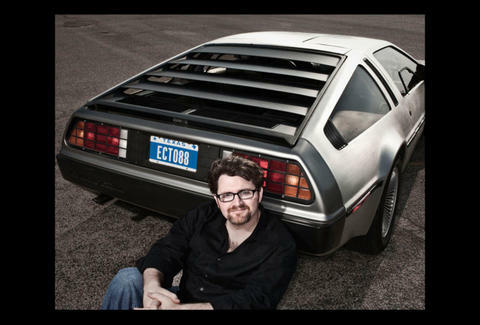 Tonight BookPeople hosts a reading by Cline that will feature '80s games and a vodka-fueled recreation of the book's Pan-Galactic Gargle Blaster, which should make your First Life seem like much more of an OASIS.